CHICAGO — The fury of the winter storm that swept into the northern Great Plains on Christmas Day was weakening Monday evening, but blowing and drifting snow continued to hamper travel in many areas. 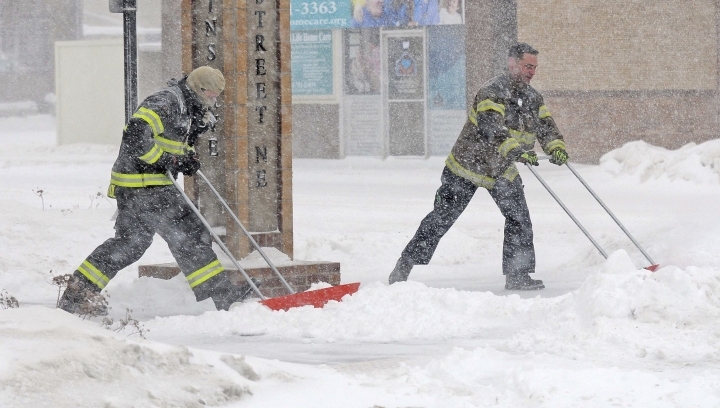 The combination of freezing rain, snow and high winds that forced vast stretches of highways in the Dakotas to be shut down Sunday continued into Monday, and authorities issued no-travel warnings for much of North Dakota. Meanwhile, in parts of the South, unseasonably warm temperatures were raising the risk of tornadoes and damaging thunderstorms. About 3 million people in parts of Arkansas, Missouri, Kentucky and Tennessee could see damaging wind gusts and isolated tornadoes Monday, the Storm Prediction Center in Norman, Oklahoma, said, but no major outbreak was expected. 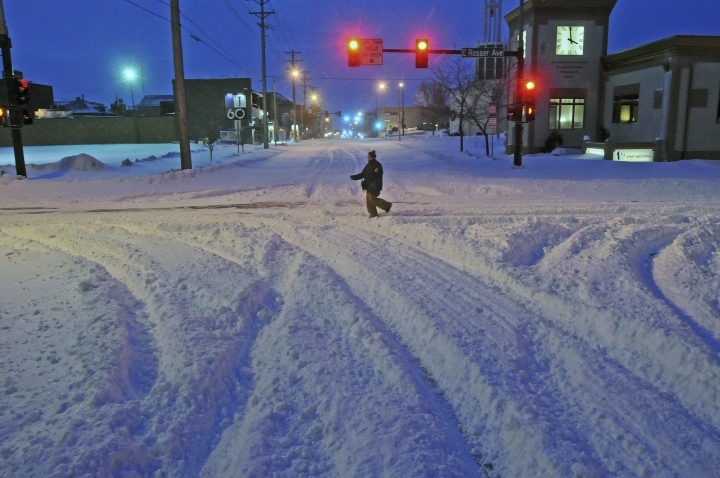 The National Weather Service's blizzard warning for western and central North Dakota expired Monday afternoon, but the agency warned snow drifts still blocked some roads. Severe whiteout conditions led to the closure of Minot International Airport, and the facility wasn't expected to reopen until 3 a.m. Tuesday. 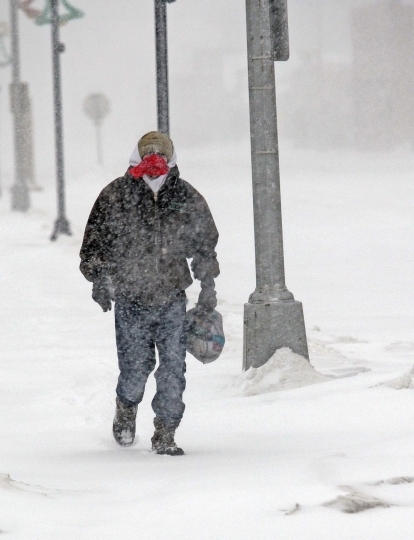 The airports serving Fargo and Bismarck also listed flight cancellations on their websites. Interstate 94 remained closed west of Jamestown, North Dakota. Interstate 90, which had been closed for 260 miles between the Wyoming border and Chamberlain, South Dakota, was reopened to traffic Monday. Winds gusting 40 mph to 50 mph also led to delays and cancellations at Minneapolis-St. Paul International Airport. The storm also has caused power outages in the Dakotas and Nebraska. The South Dakota Rural Electric Association said roughly 16,400 of its customers were without power Monday evening. In Nebraska, winds gusting up to 70 mph were cited for hundreds of power outages in central and eastern portions of the state Sunday, although by Monday morning, utilities reported that power had been restored to most customers. High winds knocked out power to thousands of customers in Michigan on Monday. Consumers Energy spokesman Brian Wheeler told WOOD-TV that more than 20,000 customers in the state were without power Monday evening. Most of the outages occurred between 7 and 8 p.m., he said. The Traverse City Record Eagle reported that customers of several utilities were without power late Monday afternoon in northern Michigan.